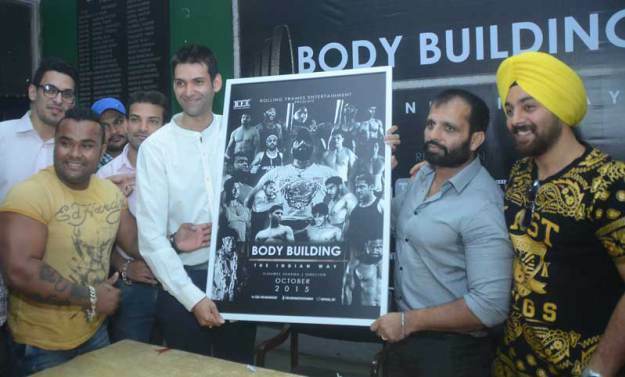 Chandigarh 27th October:- 'Body Building – The Indian Way' sounds like a title of some book. But this dose of knowledge is coming your way in the form of a short film that released today on YouTube. Being made under the banner of Rolling Frames Entertainment, the film is directed by Ojaswee Sharma who has done many such films in the past. The film visually talks about the approach, dedication and consistency of people running on the path of fitness to achieve the apex point of a fine biologically built physique. It's all about Indian bodybuilding, Indian bodybuilders and ordinary individual, and the visuals that inspire. Ojaswee's creative torque took him to make his first Short Film "I Quit" in 2012 which was in English with minimal dialogues. He then produced and directed a number of short films which were appraised on YouTube. He made films like Kamley (2014), Parikrama of Gurudwara (2014) and Gal Bann Gayi (2015) which got him recognition. He said that social networking platforms have opened the gates for short films to reach people across boundaries. When people do not have much time to go and watch a full-fledged feature film, they prefer going online to watch films and videos. Also, a short film crisply says what it has to and delivers a message in a minimal time span. Talking about this film Ojaswee said that there are a lot of videos on the internet that people of all ages, especially youngsters, watch to gain motivation and inspiration when pursuing fitness, especially bodybuilding and exercising, as their major goal to attain a better physique and getting into good shape. He further said that such videos on the internet mostly consist of international bodybuilders mainly from the western or the European land. Very rarely do we come across any such noticeable videos that showcase Indians getting fit, feeling fit or aiming towards fitness. Our video perhaps could inspire like-minded Indians to get started towards their fitness goals. He added further that there should be at least a few bodybuilding and fitness Indian videos that the Indians themselves could look up to drive inspiration from. We believe that there should be at least one video, or a beginning to such genre. Indian bodybuilders deserve recognition in India, at least. Featured in the film bodybuilder Ramakant said that it has been his maiden experience of being a part of any video or film so far. He is happy to share his experience of the field over the years so that the young aspirants may receive proper guidance and right knowledge of bodybuilding.